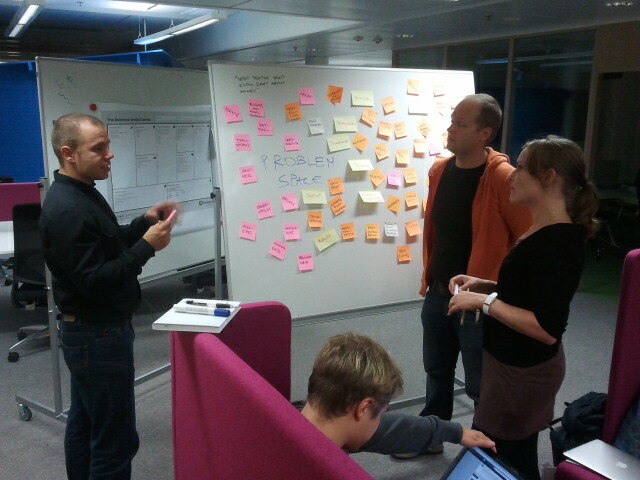 After the introduction it was time for service design process to start. 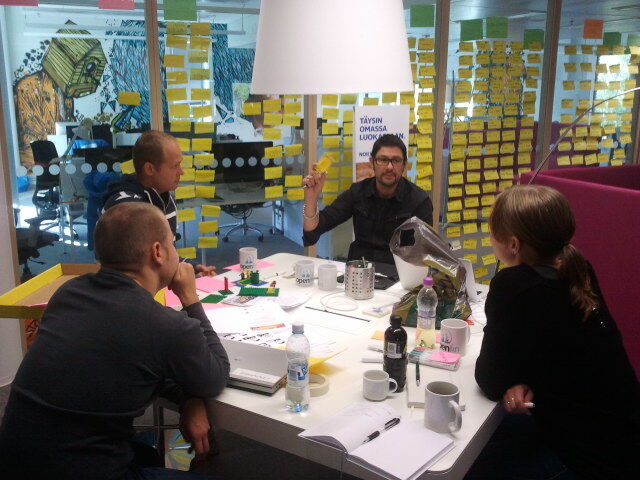 Our team build innovation walls where different financial trends were gathered in post-it notes. 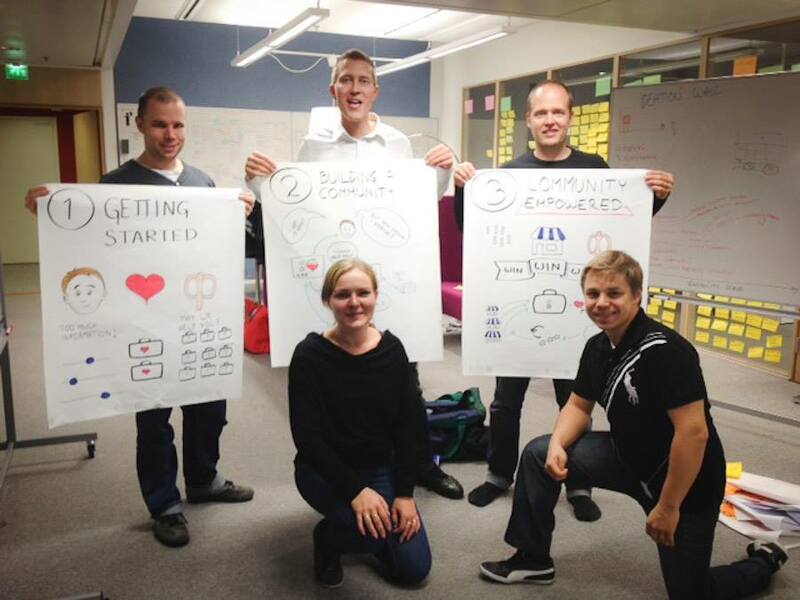 We used brainwriting as ideation method, combining ideas with trends on the ideation wall. Meanwhile Lassi, our data guru, analyzed the given APIs. He soon discovered how early stage those were. 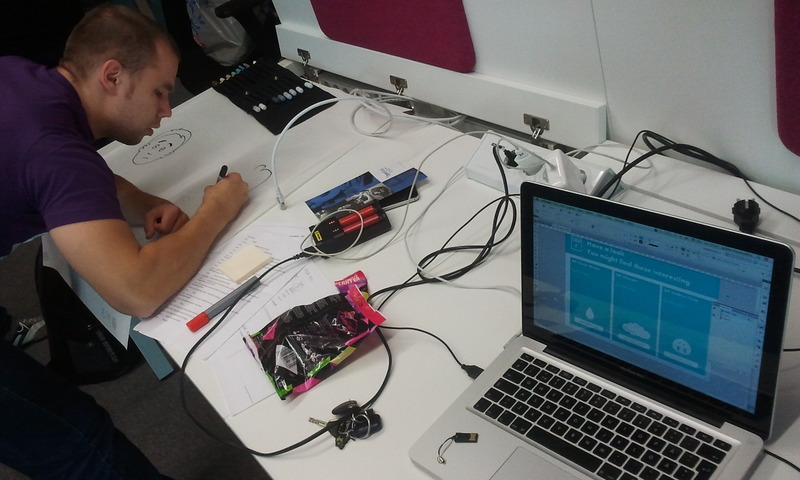 We wrote all the API interfaces down and thought how those could be used in the ideation phase. A4 concepting method was then used to write concepts based on the trends and ideas we had collected on the ideation wall. Soon we had around twelve different concepts on our hands. At this time it was around 2 o’clock in the morning and everybody started to feel the tiredness affecting the brainpower. Next morning after six hours of more or less sleep it was time to continue. 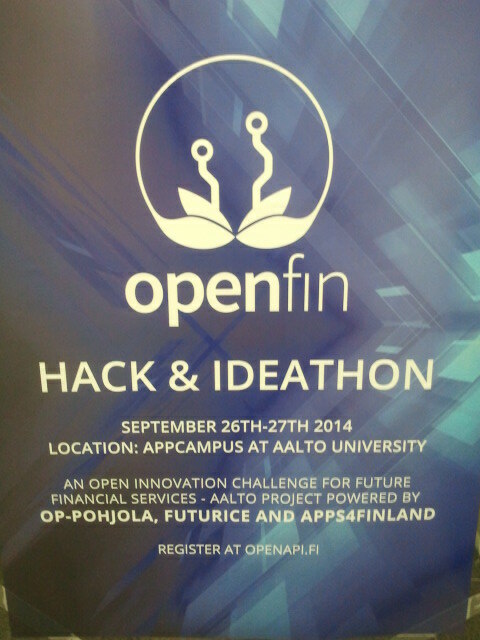 Anton Schubert from Futurice gave some more insights on what kind of concepts they would be looking. developing relationship beyond the purchase. Main message being that it should have change is needed -mindset. Anton’s presentation really gave the boost and direction to our work that really helped us to focus that we really need that morning. and gave some further developing advice. Everything was carefully written down and analyzed further. Soon everything seemed to be clear how we should proceed. We divided our concept in three phases as suggested earlier in the presentation alongside with MVP (minimum viable product (writers notice: we would like to call it minimum viable service, instead of product)). 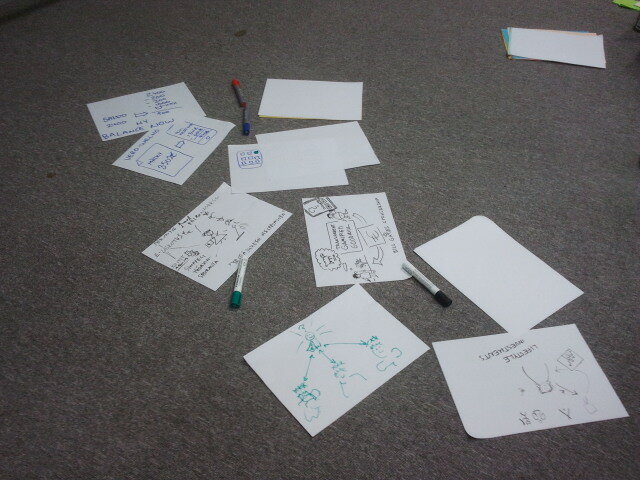 Prototypes, posters, business model canvases and API interface change suggestion were created for the presentation. Everybody in the team worked as one, almost in some sort of flow mode. Soon we would be ready to present our concept in front of the audience and the jury. Our presentation was destined to be the second last. Very interesting concepts were presented and some of the teams had been doing some programming as well with working code – that was impressing. Dutch team with the working code actually won the consumer app category with their sharing-the-drinks-bill-among-the-friends app called the Orange. Entrepreneur app category prize went to a app designed for start-ups and new entrepreneurs helping and making easy to them to establish new business. Our team received Honorary Mention too which felt quite good as we didn’t do any hacking or working code but presented a solution how to make the mutual fund investment more user-centric. Overall joining the competition was very mind blowing experience. Everybody in the team was working with open minded attitude and there wasn’t any single negative feeling during the process. I liked the fact that we had so much time to think through different ideas and concepts. Although in the very end time was running too fast. It is strongly recommendable for anyone to join these competitions and events whenever possible, especially if you happen to know and get this kind of dedicated professionals that I got to work with. 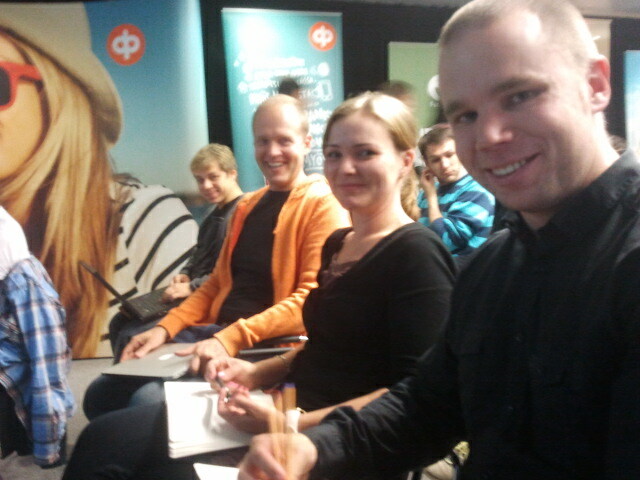 Thanks Minna, Lassi, Jaakko and Antti!